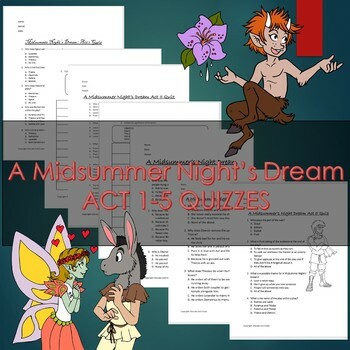 This bundle includes quizzes for A Midsummer's Night Dream Acts 1-5. 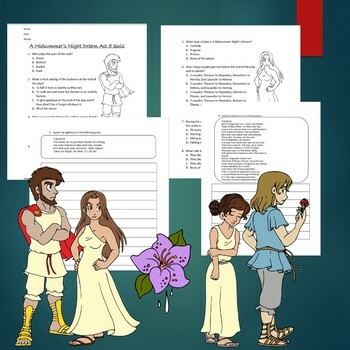 Each quiz has multiple choice questions and at least two short answer questions. 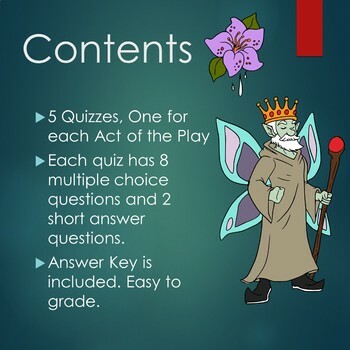 Each quiz comes with a study guide included. All these quizzes purchased individually would cost a total of $5.00. You save $1 buy purchasing all five in this bundle.